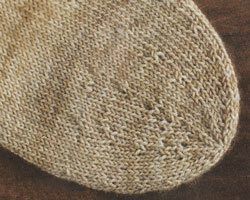 Click on over to Kathleen Cubleys Blog at Knitting Daily for hints, tips and techniques that will enhance your knitting. Things you never knew. Things you knew but didn’t know how, and all kinds of other things. She has a daily newsletter too that will keep you up-to-date on all things knitting. This one post is about how to do a couple of different styles of toes in your socks. Check it out HERE, and be sure to sign up for her newsletter!